The Frank Underwood reign continues. Variety reports Netflix has renewed their political drama House of Cards for a fifth season ahead of its season four premiere in March. Variety also reports that the series’ showrunner Beau Willimon will be leaving the show. Season four of House of Cards premieres on March 4th. What do you think? Are you a fan of House of Cards? What do you think of the showrunner leaving? Will you watch season four? More about: House of Cards, House of Cards: canceled or renewed?, Netflix TV shows: canceled or renewed? House of Cards: Season Six Shortened; Will Kevin Spacey Return? House of Cards: Thanksgiving Deadline for Season Six; Can Kevin Spacey Be Fired? 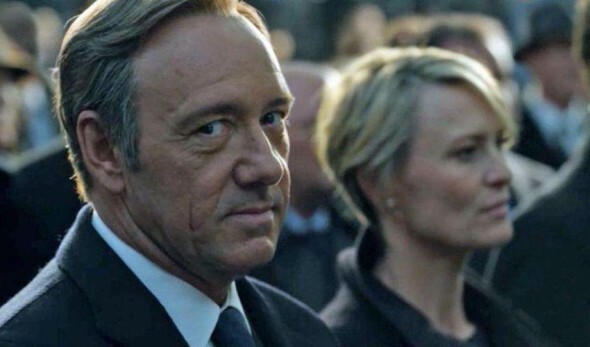 House of Cards: No Season Three for Netflix Series?